Forget party decorations. 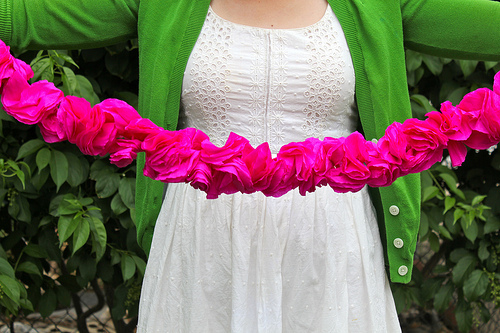 I want this pretty crepe paper flower garland Melanie made hanging in my house all of the time! You can see how to create one of your own over at Hip Hip Hooray.